When you have oversized pieces of equipment that must be transported for a long distance, you should consider hiring a specialized hauling company for the job. Transporting heavy and valuable equipment without experience can be nerve-racking. For you to have a better understanding of what goes into this type of hauling, let’s take a look at how some professionals prepare for heavy equipment transport. 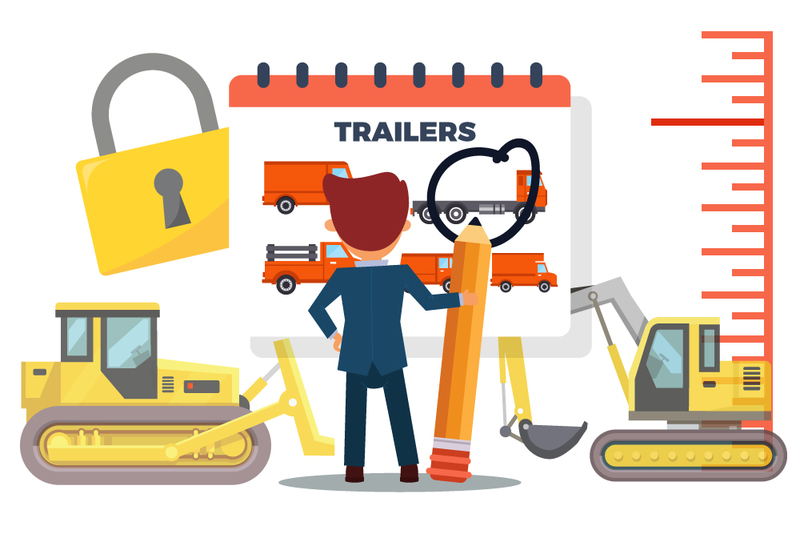 Selecting the suitable trailer is one of the most essential parts of transporting the construction equipment or huge machinery successfully. When choosing trailers, here’s where safety and savings collide. The thing you must always keep in mind is an overloaded trailer carrying the valuable equipment down the road. To be safe, you should select a trailer that ensures a good fit for the haul. Flatbed trailers, Removable Gooseneck trailer, and Step-deck trailer are the trailers that you can consider to use for your construction equipment and farm machinery. Flatbed trailer transport is the most affordable way of shipping your equipment. But, it is restricted to hauling smaller pieces of equipment. It can transport a maximum of 48,000 pounds and it supports cargo that’s up to 8.5 feet tall and as much as 8.5 feet wide. Step-deck trailer is more versatile than the flatbed trailer, but, is also more expensive. It can transport a load that weighs a maximum of 48,000 pounds. It can carry cargo that can be as tall as 10 feet and as wide as 8.5 feet. Step-deck trailers are usually 48 feet long. Step deck trailers are lower to the ground compared to flatbed trailers. Just like Step-deck trailer, Removable Gooseneck (RGN) Trailer is also versatile and expensive. It can haul loads that weigh as much as 42,000 pounds. An RGN can carry cargo as tall as 11.5 feet because of its low-sitting well. Maximum width on an RGN is the standard 8.5 feet. The well usually runs 29 feet in length. A Removable Gooseneck trailer is best for moving large self-propelled pieces of machinery because of the drive-on/driver off feature of it but it is crucial when shipping behemoths that weigh as much as 80,000 pounds or more. RGN trailer is good for traveling oversized things. Too tall: Equipment should not be over the height limit. It can still travel only after the attachments have been removed. Too heavy: Trailers are designed to haul heavy equipment but it has limitations. The body must be shipped separately from attachments to reduce weight because some equipment is just too heavy for safe road transport. Too wide: If the construction equipment is too wide to fit on the trailer, remove the tracks. Too long: Remove some of the attachments if the equipment is longer up to 53 feet in length. When you are done checking these more crucial components, that is the time to prepare the bulk of the equipment for transport. Here’s how the pros get the equipment ready. Cover stacks: Keep the debris from getting down inside smokestacks by covering stacks the entire machine. Secure the doors: Latch all the doors on equipment to keep them from opening during travel. Unhook batteries: Do not forget to disconnect the battery before transport to ensure that it is good to go and double checking it upon arrival. Remember that you are totally prepared for transportation when you secure the safety of your equipment, the driver, truck, and trailer upon transporting.